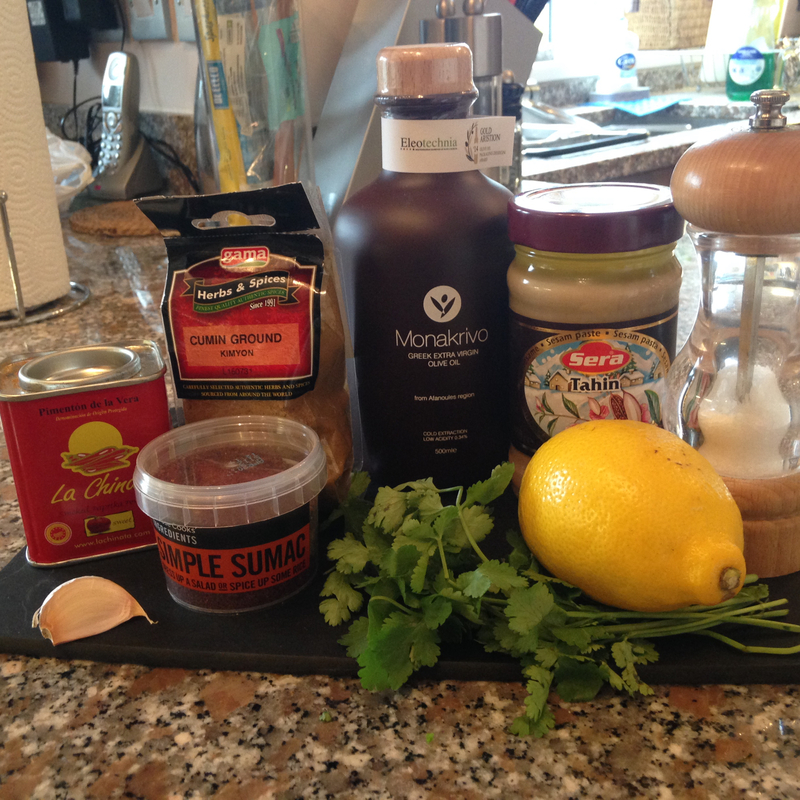 My houmous/hummus – it’s not all Greek to me! I have met some interesting people during my holiday around the Med including the Greek lady who manages the Hellenic Traditional & Organic products store in Katakalon. Her shop was a cornucopia of deliciousness from olives, olive oil, spices, herbs, honey and lots more. I will write about her another time but talking with my co blogger about this weekend’s taste2taste off we decided a dip off was in order, no reflection of the current state of our or the Greek economy! This lady was definitely doing wonders for the local economy as I ended up buying lots of things including Monakrivo extra virgin olive oil from the Afanoules region which I have used in my houmous recipe that you can make in 5 minutes. Put all the ingredients except olive oil in a food processor. Add 1 tablespoon of the chickpea liquid. Blend and start drizzling in the olive oil until smooth. If it is too thick add a bit more olive oil and chickpea liquid. Decorate with chopped coriander, sumac, paprika and a drizzle of olive oil on top. Warm some bread and you are ready to dip. 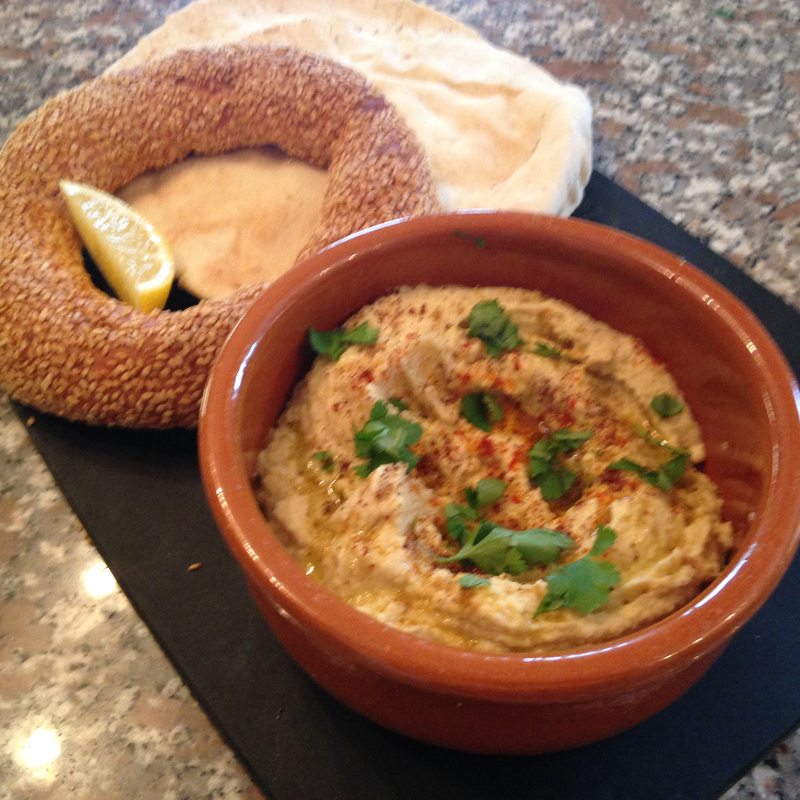 My Greek houmous, a quick delicious starter surely this weekend’s dip off winner? Thank you Emma, we’re glad you enjoyed it. All credit to my co-blogger Lindsey, whose creation this was! Thanks for your lovely comments and sharing with your followers I really appreciate it. Please watch out for my post on olive oil tasting in Greece coming soon and also a dip recipe from Santorini called fava it’s like a Greek dahl, delicious, vegan and gluten & dairy free too!I had a challenge to find out how it’s made as I cannot speak Greek and the cafe owner spoke little English.